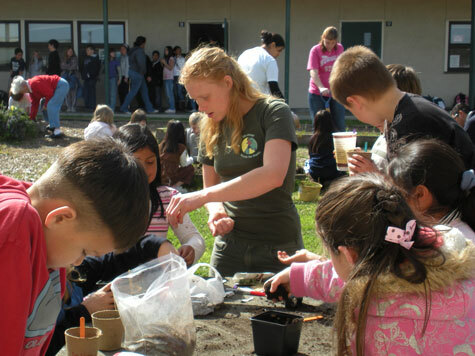 Environmental Education provides our community with resources to explore nature and environmental issues through hands on activities, crafts, field trips, and workshops. EE aspires to connect local under-served youth with their surroundings while instilling within them a sense of responsibility, appreciation, and stewardship for our environment. Environmental Education works with local youth fostering stewardship of the environment and excitement about discovering the world around them. 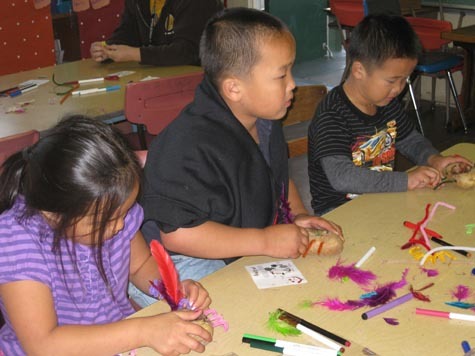 We work weekly with elementary after school programs and students on Friday afternoons playing games, doing recycled material crafts, and teaching different lesson plans with an environmental theme. Working on an art project at Alice Birney School. We are looking forward to working with Jefferson Community Center to broaden our impact on the community by setting up projects and planting with volunteers. 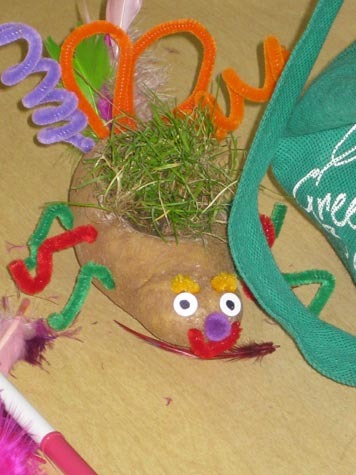 Children use their imagination to create a potato buddy. 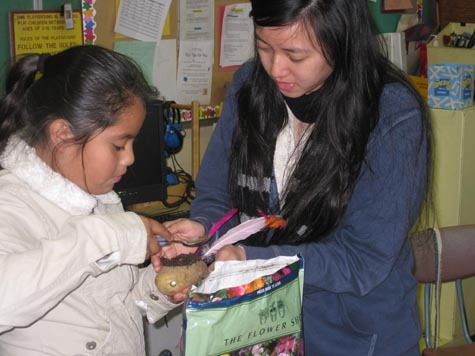 Volunteer helps with planting the potato buddy. What the finished buddy will look like.